The Health Sciences Library (HSL) serves all faculty, students, employees, and sponsored residents and fellows of the New York Medical College. New York Homeopathic Medical College first opened a Library in 1885 at the behest of students and alumni when the college was at Flower Hospital. In 1972 the libraries of New York Medical College Flower and Fifth Avenue Hospitals and Westchester Academy of Medicine in Purchase, New York merged under an agreement signed by both parties. 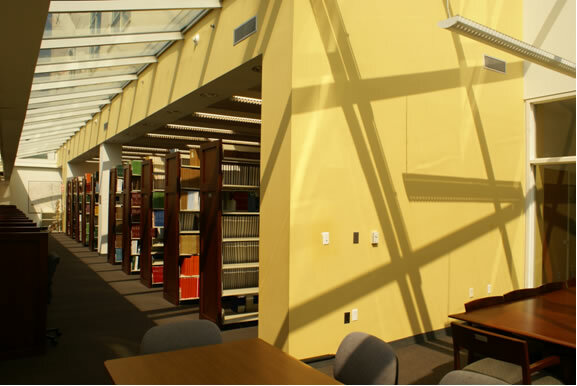 As of 2011, when New York Medical College became part of the Touro College and University System, all Touro faculty and students have onsite access to the library facilities and resources. The New York State Library has designated the Health Sciences Library as a Leader Electronic Doorway Library. The Library is also a Resource Library in the Middle Atlantic Region (MAR) of the National Network of Libraries of Medicine (NN/LM). The Library actively participates in the Online Computer Library Center (OCLC) global network and remains a full member of METRO, the New York metropolitan area library planning cooperative. Loansome Doc use is promoted and encouraged; we honor METRO card access for the public via local libraries.